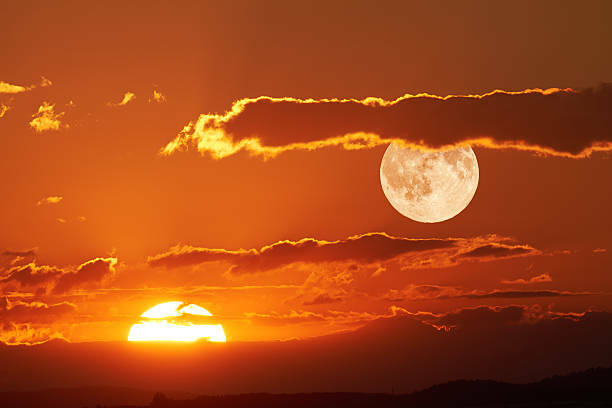 The Sun and Moon are both heavenly bodies of light that follow their own unique paths across the sky. These luminaries can be observed now as they have been seen for thousands of years to travel above us emitting their own light to the world. However, the Masonic experts at NASA have convinced us that it is not these magnificent luminaries revolving above us as they appear, but instead, it is us revolving around the Sun. They also tell us that the Moon is not producing its own light, but rather it is a big spherical rock and nothing more than a reflector of the Sun’s light. The Sun and Moon are both equal yet opposite luminaries with one ruling the day and one ruling the night. The Sun gives light to the earth and brings warmth and energy and without these things, we would not be able to see, move, or grow food. 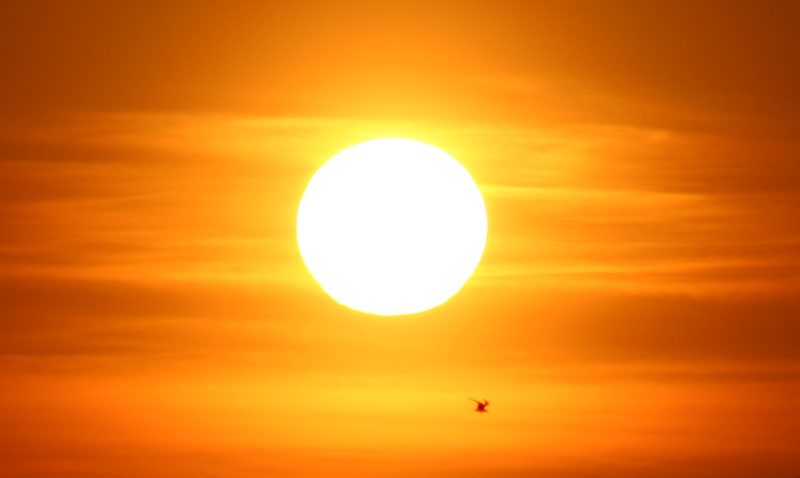 We depend on the Sun’s light and energy to survive. This explains why many ancient cultures held great respect for the Sun and personified it as a deity. We are told that the Sun is 93 million miles away even though it appears to be much closer. In high-altitude balloon footage, hotspots can be seen on the tops of clouds beneath the Sun which can only be a direct result of a local body of light above the earth. The Sun travels around the earth every 24 hours while the Moon travels around every 25 hours giving us Days, Nights, and Seasons. The Sun’s annual journey around the earth is what determines the distinct Seasons we experience on the flat earth. When the Sun travels closest to the North Pole, it is summer in the North and winter in the South. When the Sun is furthest from the North Pole, closest to the outer regions, it is summer in the South and winter in the North. Heliocentrists will often bring up Eratosthenes as proof of a distant sun and earth’s curvature due to the different lengths of shadows cast from Sunlight on various places. Eratosthenes recorded how at high noon in Syene, no shadow was cast, and the Sun’s rays could reach to the bottom of his well while in Alexandria, a metal rod placed vertically casted a significant shadow. However, this can occur on both a flat earth and a ball earth. Eratosthenes concluded that rather than the shadows being cast in different angles due to the Sun’s crepuscular rays, instead the shadows were cast in different angles due to earth’s curvature. 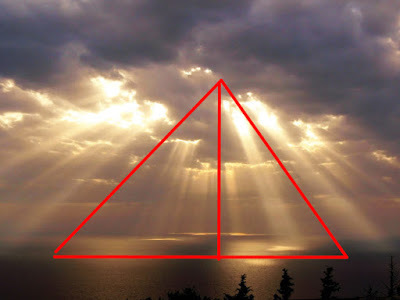 The only problem is Eratosthenes made his calculations assuming the Sun’s rays to be perfectly parallel, but this is not reality. In other words, Eratosthenes based his claims off false assumptions rather than basing his claims off reality and what we can observe. This faulty assumption led to his faulty conclusion. By using sextants, plane trigonometry, and human eye sight, we can observe that the Sun’s rays are not parallel, and Eratosthenes’ observations do not prove earth is a globe but work just as well on a flat earth. Eclipses have always been touted as veritable proof of the spherical earth due to the round shadow that is cast upon the Moon during a Lunar Eclipse. The explanation for this occurrence is that the Sun is 400 times farther away than the Moon and is magically 400 times larger than the Moon. How convenient! The distances and sizes just so happen to be the exact diameters necessary to make the Sun and Moon look as if they are the coincidentally the same size. Our everyday experience shows us that the Sun and Moon appear to be the same size and trace similar paths. The problem with this heliocentric theory is that there have been multiple occurrences throughout history where the Sun has been seen in the sky at the same time as the Moon while the round shadow is being cast. It’s called a Selenelion. This would impossible on a ball earth because we are told that a Lunar Eclipse is when the Sun, Earth, and Moon are in a perfect 180-degree line. If the Sun is still in the sky at the time of the eclipse, then this straight line would not be made therefore it would be impossible for the round shadow on the Moon to be the Earth’s, so it must be caused by something else. Ancient cultures had an interesting explanation for the cause of eclipses. Rahu was depicted as a third celestial body that would eclipse the Sun and Moon. 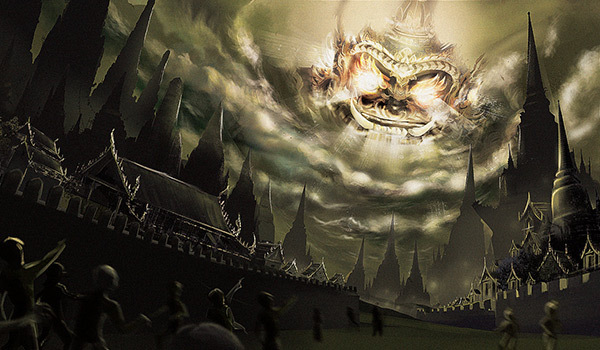 Rahu was also described as the Black Sun. Although there is not much evidence to show for this, it seems to make more sense than the ball earth explanation. One thing I thought would be interesting to point out is Planet X or Nibiru. Of course, planets don’t exist like what NASA’s cartoons show us but rather planets are wandering stars and as a matter of fact, the word planet is just the word plane with a T added to the end of it. Now this is just speculation but, is it possible that this Nibiru that everyone was claiming to be seeing was actually Rahu or the Black Sun? It very well could be or Nibiru could just be a hoax, but the problem is that we just don’t know. Instead of jumping to conclusions maybe we should just stick to the facts. 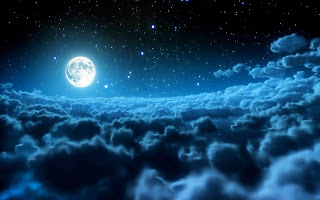 The Moon is the equally divine opposite of the Sun giving us the Yin Yang of Sun and Moon, hot and cold, Day and Night. The Moon traces a similar path to that of the Sun’s annual journey. The Moon gives light to the night sky as a luminary and its phases seem to be its own function. Moonlight has many different effects on plants and foods than Sunlight. While the Sun’s light is warm, dry and preserving, the Moon’s light on the other hand, is cold, damp and putrefying. When placing a thermometer in direct Sunlight, it will read a higher temperature than a thermometer placed in the shade. In direct Moonlight, a thermometer will read lower than a thermometer placed in the shade. Not only does the Moon appear to emit its own light, but it also appears to create its own heat different than that of the Sun’s. 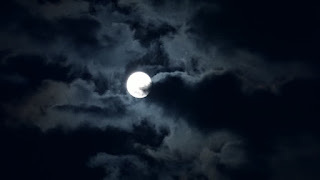 We are told that the Moon is not a self-luminous, semi-transparent body of light as it appears but rather that the Moon is a solid, spherical rock reflecting Sunlight that Freemasons can land on. 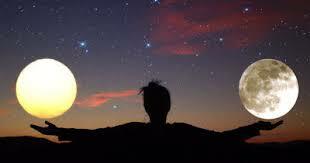 However, pictures have been taken showing stars being seen through the Moon. This would be impossible if the Moon was solid and stars shining through the Moon can be seen in Muslim and Freemasonic symbolism. Videos and pictures have also been taken showing the clear blue sky visible through the afternoon Moon. The Sun and Moon clearly are more significant than what we have been told. These luminaries move above us every day and every night. I find the Sun and Moon to be beautiful but even though we can describe what they do and how they appear, I don’t know if we’ll ever be able to identify what these luminaries actually are or how they function. That may very well be forever a mystery, but they do make me see and appreciate the beauty of our flat earth.